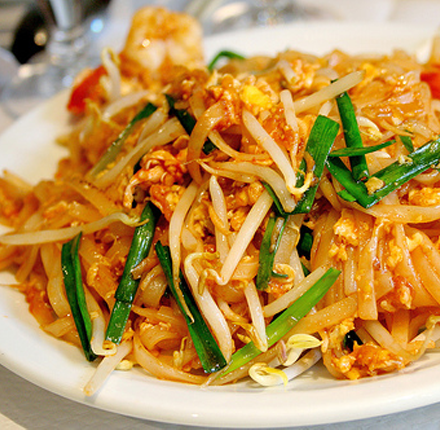 In opinion polls of the world's most delicious foods, Thai dishes frequently dominate the top ten. Why? 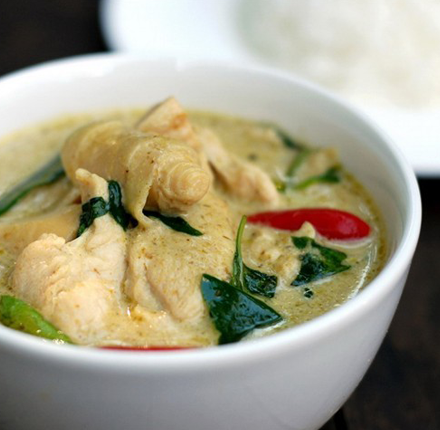 Because Thai food is distinctive, highly flavorful and incredibly satisfying. Papaya salad, Pad Thai and Thai sweet and sour soup are three Thai dishes known and loved throughout the world. Here at Sweet Basil Thai Cuisine's two Bay Area locations, you can try our versions of these dishes as well as many more that are less well-known. Using fresh ingredients such as lemon grass, galanga, coconut milk, mint and chili paste, we take great pleasure in creating the best traditional Thai food in the Bay Area. We know that a large part of a successful meal is its visual appeal, so we make sure our plates leave the kitchen looking beautiful, balanced and artistic. Both of our elegantly appointed dining rooms add to your experience of the finest Thai cuisine. We take as much care with our soups, salads and appetizers as we do with our entrees. Our Papaya salad includes the bite of lime juice and the crunch of peanuts. Our tom kha goong, or coconut soup with shrimp, lemon grass, mushrooms and galanga, is the perfect harmonization of sweet, salty and creamy flavors. An appetizer can be an opportunity to explore some unknown parts of our menu.Our Seared Sesame Ahi Tuna is a unique combination of fresh fish, soy and ginger, and is light enough to leave plenty of room for the rest of your meal. Our entrees truly are masterpieces. Thai food is rightfully famous for its curries, and we have a number to choose from: Massaman, Sea Paradise, Red, Yellow, Panang and more! Try a different one on every visit and you'll be surprised at the range of flavors. We have a full selection of noodle dishes, seafood and vegetarian choices. Our menu is extensive; if you feel overwhelmed, please just ask a server for help. We love helping our customers choose dishes that complement each other and stimulate the palate. Come to one of our two Sweet Basil Thai restaurants and take your tastebuds on a ride to Thailand.